"Today we are reminded once again that all Americans cherish our public lands and are welcome to participate actively in them. "The Public Lands Alliance applauds Senate and House leadership for their bold and conscientious initiative that brought so many together at one table. The John D. Dingell, Jr. Conservation, Management, and Recreation Act is a bipartisan achievement and a proud legacy for the 116th Congress. "Nonprofit partners of America's public lands stand ready to work hand-in-hand with federal land management agencies like the National Park Service, Bureau of Land Management, and U.S. Forest Service to fulfill the promise of this new legislation. Conservation corps will invite new generations of young people and veterans to become active stewards of the land through the 21st Century Conservation Service Corps. 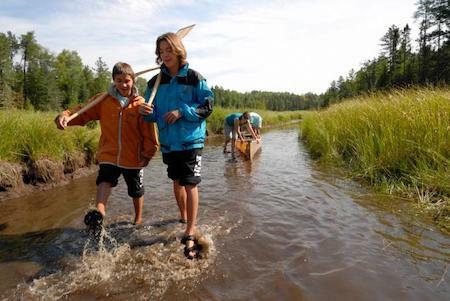 Friends groups and cooperating associations help provide transportation dollars, educational programming, and recreational opportunities to fourth graders now empowered to visit public lands through the Every Kid Outdoors program. Land trusts and other nonprofit organizations will partner with the federal government, states and local governments to create new green spaces through gifts of land and through the Land and Water Conservation Fund. "The need for public lands advocates and enthusiasts is also not lessened by passage of this historic bill. Funding, volunteerism, and stewardship are necessary to ensure wilderness protections are maintained, new national scenic rivers and trails are enjoyed, new national heritage areas are fully realized, and essential funding for the Land and Water Conservation Fund and these new designations are appropriated. The Public Lands Alliance works every day to connect, strengthen, and represent the nonprofit partners of America’s public lands.